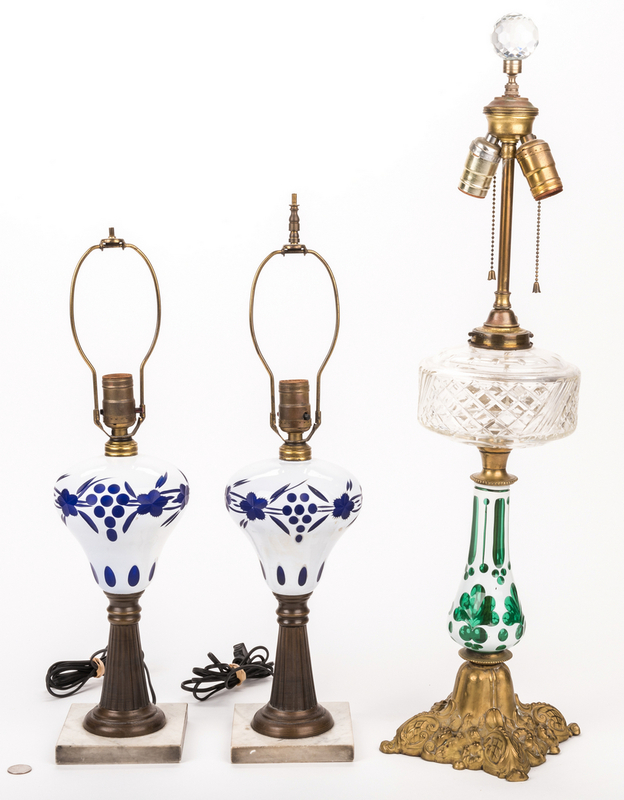 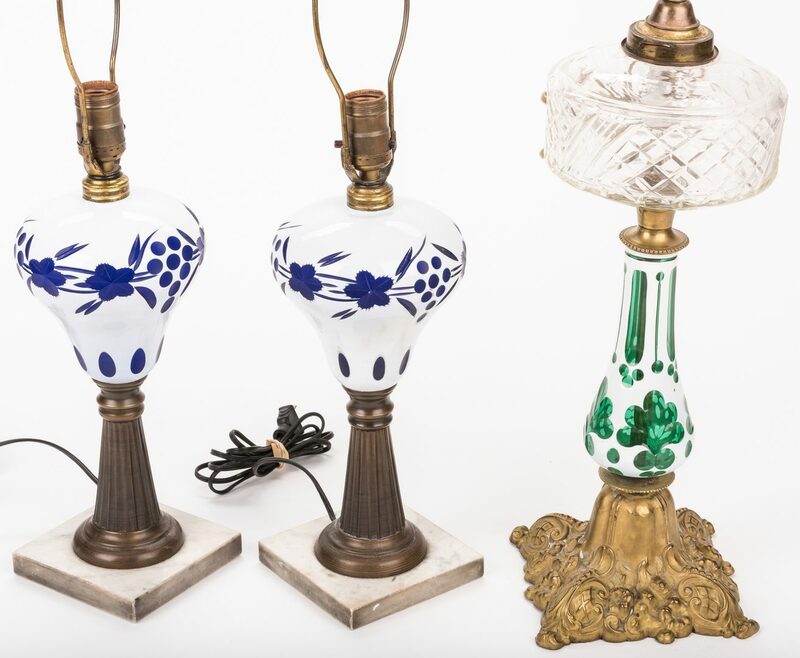 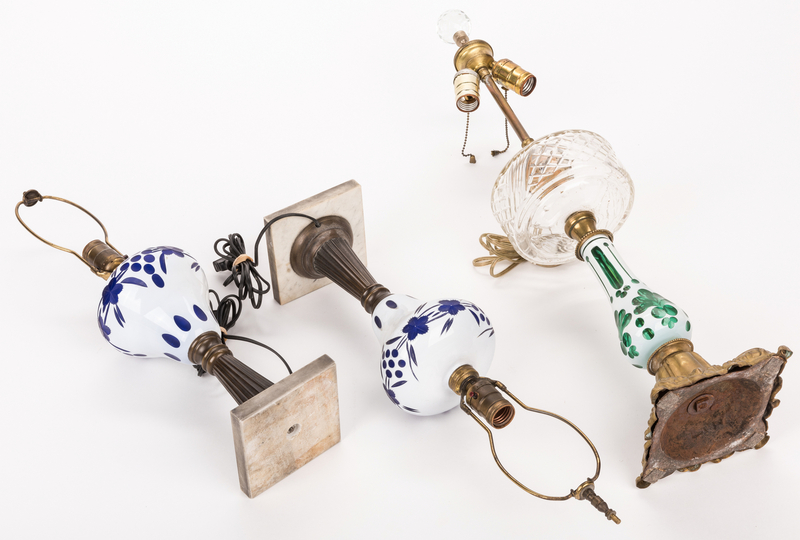 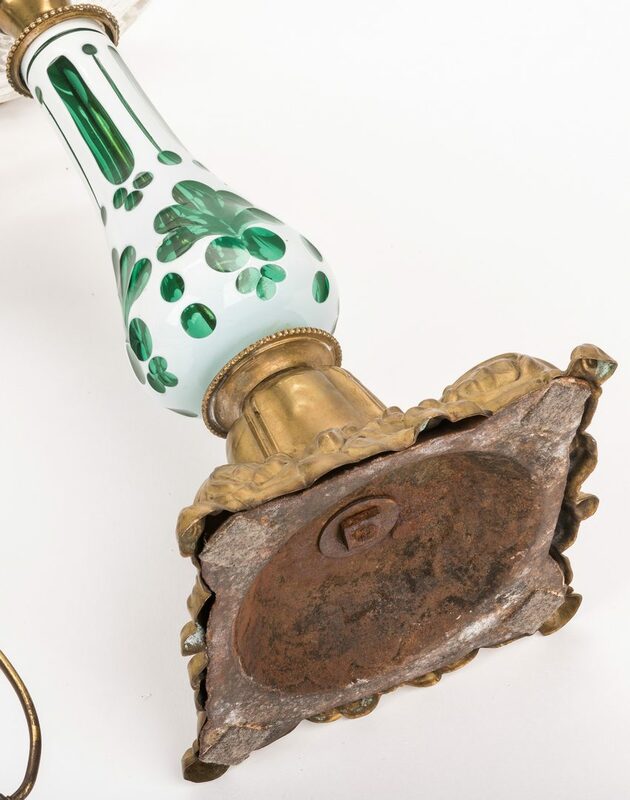 Group of three (3) cased glass lamps, including a pair of white to purple mounted onto bronze and marble bases and one white to green while having a cut glass top, a gilt metal base and a faceted crystal finial. 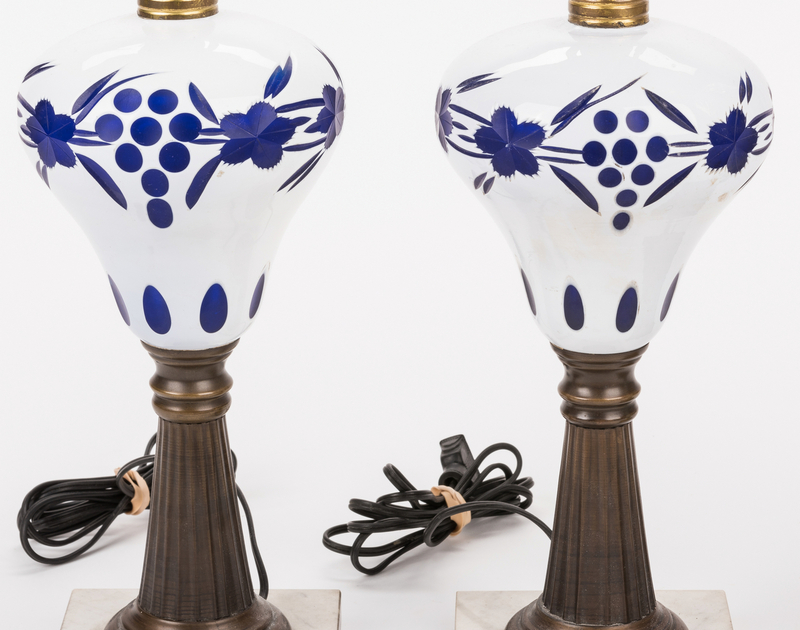 Pair of lamps measure: 12 1/2" H base, 21 1/2" H overall. 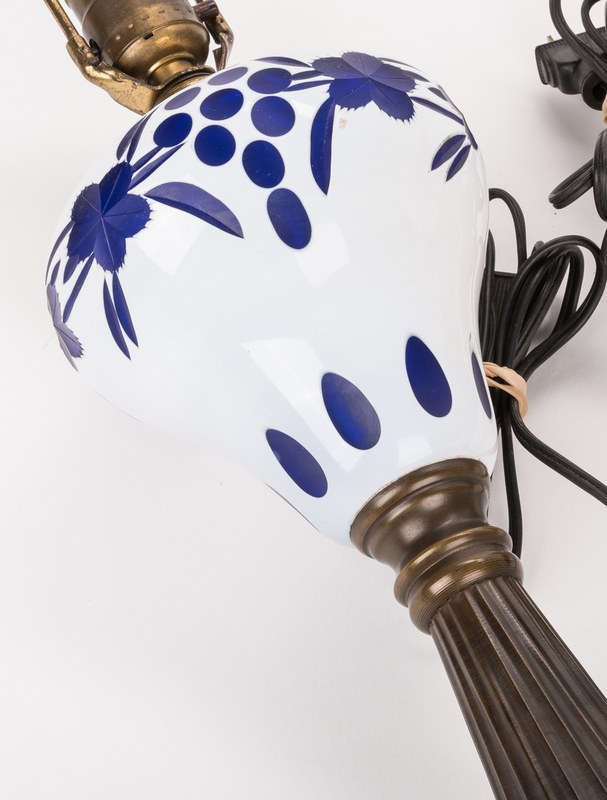 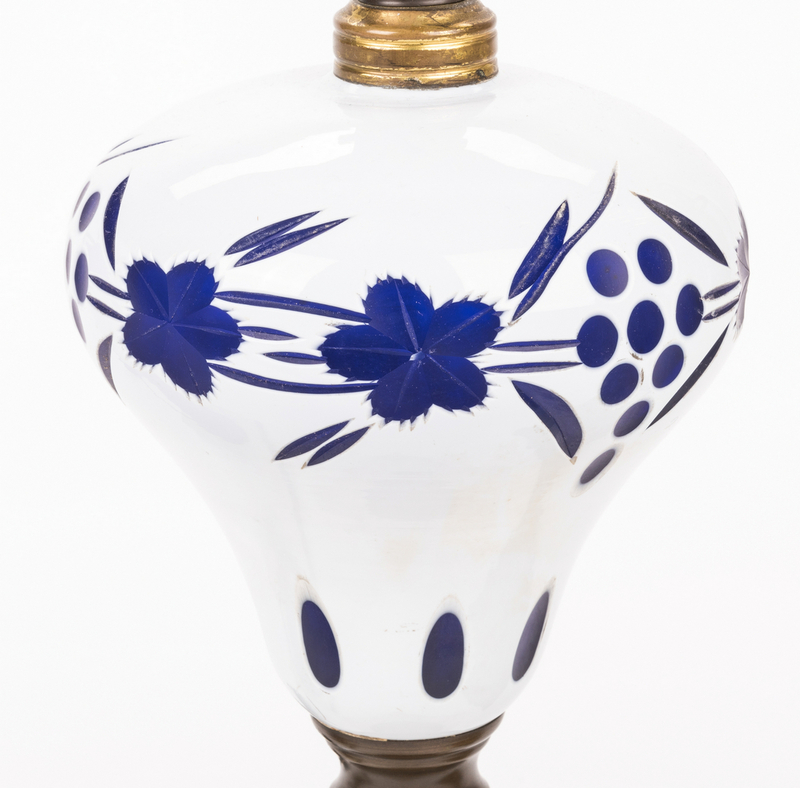 Single lamp measure 17" H base, 30" H overall. 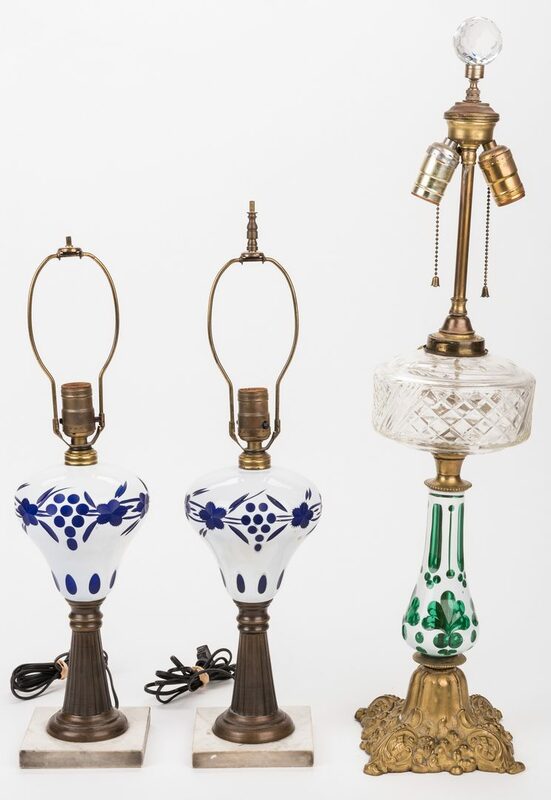 All early 20th century. Provenance: Private Bristol, TN collection. 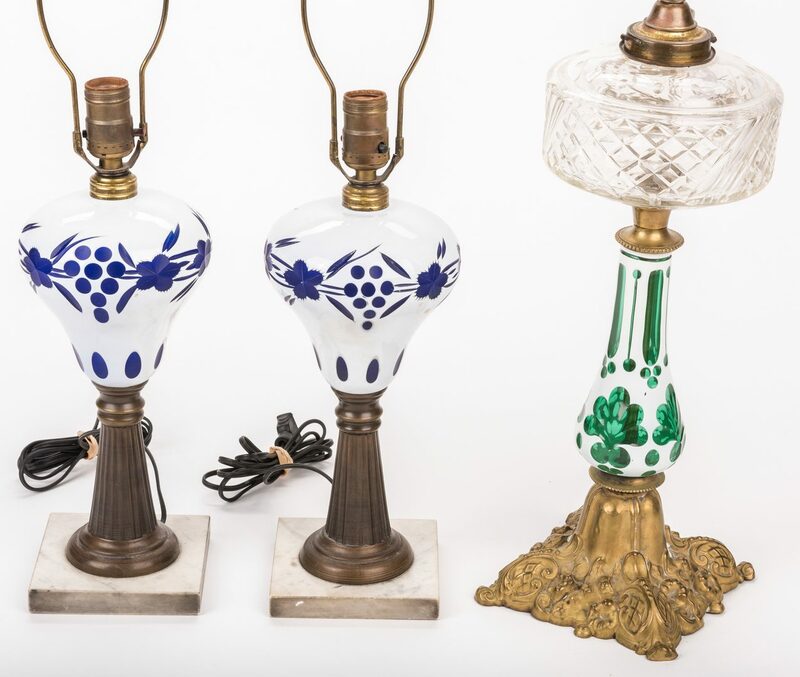 CONDITION: All lamps very good condition, not tested for functionality.